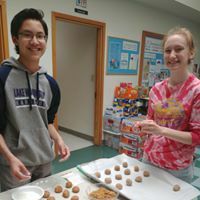 The Job: Baking cookies for Habitat for Humanity volunteers, Retirement home(s), local Fire and Police Departments. Sweet! Please bring: 1 or more batches of pre-made cookie dough. Can be homemade or store bought. Thank you!